Youngsters or teens often delight in being the guest of honor during such special celebrations as birthdays, Sweet 16 celebrations and First Communions. STATEN ISLAND, N.Y. – Considerable debate surrounds children mingling with adults in restaurants, and the discussions range from the ideal age and youngsters attending receptions to a young person as the guest of honor. 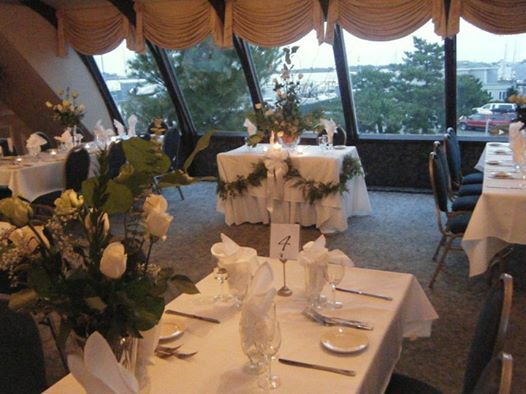 The Mansion Grand, featuring Alissia’s Cafe, overlooking Staten Island’s Great Kills Harbor understands the underlying judgments about children’s presence. Naturally, as family-oriented folks, we get particular enjoyment serving multi-generational families. Especially at celebrations, there is a place for youngsters, particularly if they have some experience with partaking in ceremonial events. One viewpoint is that as soon as a child’s palate can appreciate menu variety, it may be time for the early foodie’s introduction to fine-restaurant dining. Several participants in these wide-ranging debates contend that parents are the key, and it’s a child’s upbringing that governs readiness for attending a banquet. On the other hand, many times reception invitations specify adults only, although wedding planners tell of negative reactions from family members who have children or whose flower girls or ringbearers attended the vows. Another tack is to plan for a children’s table at a reception, thereby letting youngsters enjoy their own company while the adults focus on the occasion at hand. Of course, there are parties at which a youngster or teen is the guest of honor. Examples are tween and teen birthdays, Sweet 16 celebrations, First Communions, and the like. For the most part, the young honorees on these occasions are well past the age of initial restaurant readiness and can appreciatively handle being in the limelight.